Beneath the city of Rome, among its ancient remains, lie many complexes of catacombs. 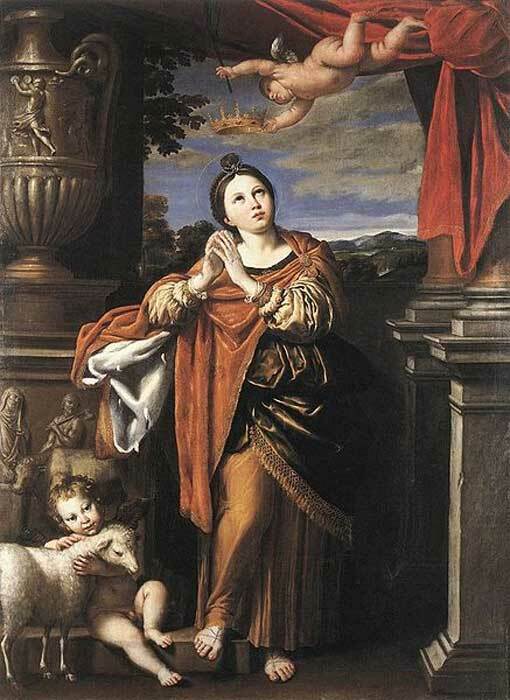 One of the oldest of these is the one dedicated to Saint Agnes. Agnes (or Agatha) was a beautiful young woman who lived in Rome during the 3rd century AD, and tragically met her untimely death at the age of 12 or 13. She was heralded as a Christian Martyr for sticking to her beliefs against all adversity. During recent centuries, thousands of people have explored the corridors of these catacombs. But what were they searching for? What is the great attraction to the catacomb of Saint Agnes? The atmosphere of the dark and creepy catacomb conjures up thoughts about the ancient secrets of this place. The catacomb has no paintings, but there are many interesting epigraphical testimonies, that shed light on the history of people who passed through the corridors. They spent their time there carving symbols on the walls, exploring, looting, and even damaging the complex. The catacombs are stacked on three levels. The corridors of the underground necropolis are divided into four sides of the world. They hide many secrets and cover stories that perhaps should never have been revealed. However, this kingdom of death became a tourist attraction, so the stories of mortals and spirits were uncovered. The eldest part of the catacomb is known as Regio I, or the First Regio. It is dated back to the 3rd century AD and is located under the Via di Sant'Agnese. In ancient times, it was a place for meetings of the first Christians. The Regio I comes from a time before the epoch of Constantine, whose reign stabilized the position of Christianity in the world. Construction of the Second Regio started during the 4th century. This area suffered tremendous damage due to the devastating activity of diggers looking for grave goods. The desire for ancient treasures went on for centuries, until modern law started to protect the catacombs as an ancient necropolis and heritage site. The Third Regio comes from the same period as the Regio II, but in this case, the construction is wider and wasn't so badly looted. Amateur archaeologists recovered many precious artifacts buried in this part, which now belong to the Vatican Museum’s collection. Sadly, what wasn't looted by robbers was unearthed by adventurers, who broke the peace of the ones who hoped to find eternal rest there. The Fourth Regio is located among the ruins of the basilica of Constantine. There, researchers uncovered many plates with inscriptions that come from the pre-Christian cemetery that was located above the catacomb. As the construction of the church damaged the necropolis, the only artifacts that survived were in the catacombs, in engraved plates. The oldest inscription discovered in a catacomb is dated back to 314 AD and mentions the name Sisinnius. The catacombs are just one part of the complex. Apart from the necropolis, there is also an impressive basilica which was built in the 4th century. It contained the private mausoleum of the daughter of Constantine I, who used to spend a lot of time in the complex, praying at Agnes’ tomb. Due to the general fascination of the Royals, the fame of this place grew very fast and spread throughout Europe. It is believed that she was buried in the catacombs. Think what would happen if, in a public place in your city, such a famous religious person was buried. Can you imagine the growing number of people who would like to be buried close to the sainted one? It should be noted here that not all of the people buried there cared about St Agatha (St Agnes). As mentioned before, some of the remains and plates belonged to the pagans. Moreover, during the first centuries AD, the new faith of Christianity wasn't as dominant as it is often presented. The story of the catacomb dominated by the legend of the female martyr was written a long time after the last burial took place. The complex was abandoned and, perhaps, forgotten in the very early medieval period and rediscovered during the 16th century. 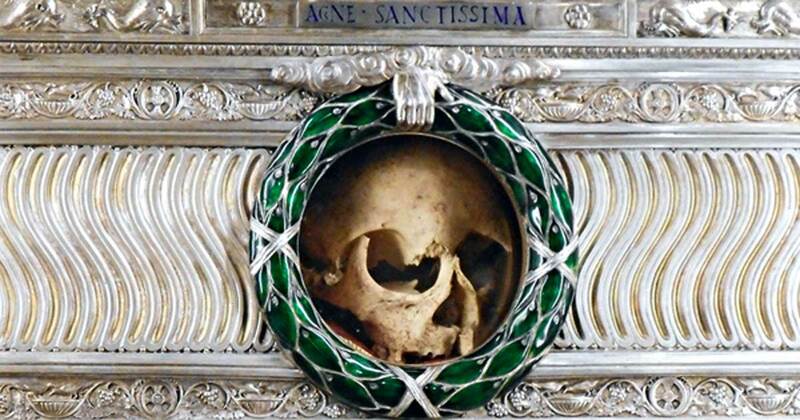 During the 18th century, the fever for searching for treasures was massive, and it severely affected the sites like the catacomb of Saint Agnes. Finally. During the 20th century, it was preserved and explored in a professional way. 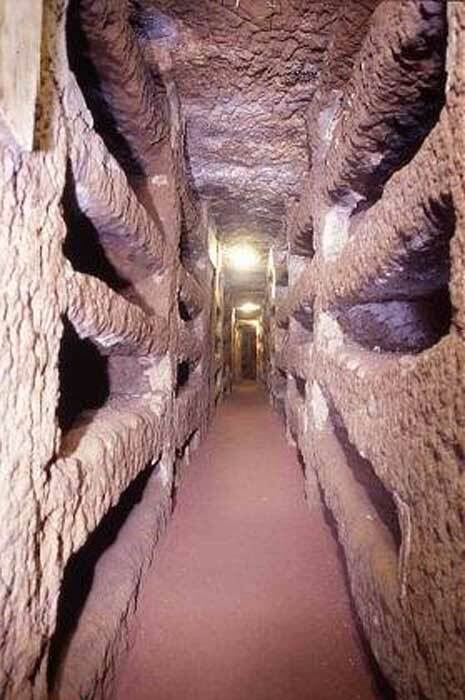 Now the catacomb of Saint Agnes is one part of the impressive system of complexes of catacombs of Rome. They are one of the many tourist attractions of the eternal city, actively promoted by tourist guides connected to the Vatican. Excavation of the Maltese Catacombs of St. Agatha Revealed Some of the Finest 12th and 15th century Frescos in Europe! Read more about Excavation of the Maltese Catacombs of St. Agatha Revealed Some of the Finest 12th and 15th century Frescos in Europe!